Whatever the make and model of your hot tub or spa if it needs repairing give us a call. 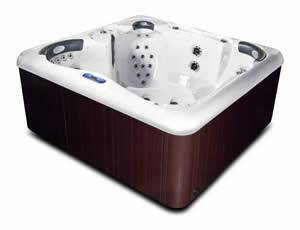 We have access to a comprehensive range of spares for most makes of hot tubs all come with a 1 year warranty. If its a service you’re looking for then once again we will be happy to help with most makes of hot tubs and spas. From a one off health check to a full service please contact us. 1. Inspect all internal components while the spa is running before draining down and back flushing the hot tub. 2. Prior to our pre arranged visit we will send you a Spa Flush to add to the water 48 hours before the service. This will deep clean all the internal workings. 3. Remove filters and place in Filter Cleaning Solution for one hour and then deep clean. 4. Remove and clean behind all headrests/pillows. 5. Inspection and cleaning of all jets. 6. Clean hot tub shell. 7. Inspect cover closing device if applicable. 8. Inspect cover, clean and treat with vinyl protector. 9. Clean the cabinet subject to the access around the tub. Aegean Apollo, Alps Spas, Arctic, Artesian, Baja, Barrier Reef, Beachcomber, Bullfrog, Cal, Canadian, Catalina, Coast, Coleman, Costco, Coyote, D1, Diamante, Dolphin, Down East, Dream Maker, Dynasty, Easy Spa, Eco Spa, Elite, Emerald, Fantasy, Freedom, Freeflow, Garden Leisure, Gulf Coast, Hot Springs, Hydro Spa, Hydropool, Iberspa, Insparations, Jacuzzi, LA, Leisure Bay, Leisurite, Marquis, Master Spa, Mistral, Northstar, Nprdic, Omni Hot Tubs, Pacific, PDC Spas, Rotospa, Saratoga, Signature, Softub, South West, Spa N A Box, Spaform, Strong, Sun Ray, Sunbelt, Sundance, Sunrise, Tiger River, Viking Spas, Vita, Voyager, SpaServe. The annual service/inspection is a condition of the warranty. This must be carried out by a authorised service dealer/agent of the manufacturers. 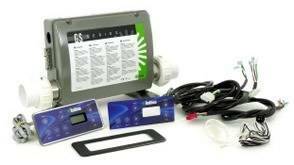 The cost of the service/inspection will be £59.99 inc VAT. This cost is subject to the mileage being within 40 miles of the service centre. For destinations outside the 40 mile radius please contact us (or your local service dealer/agent) for the additional mileage surcharge. It remains the responsibility of the spa owner to ensure the annual service/inspection is carried out within 12 months of the day of purchase. 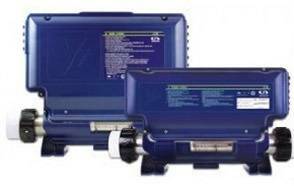 Likewise 12 months from any previous service/inspection to ensure the warranty conditions are up to date. Failure to do so will void any warranty claims after 12 months from the original date of purchase.